Nestled at the gateway to the famous Les Trois Vallees ski area, the authentic Savoyard village of St Martin de Belleville charms visitors with its peaceful ambience, friendly atmosphere, and high-quality accommodation. With charming narrow streets, an attractive village square, and beautiful old buildings clad in wood and stone, St Martin de Belleville offer visitors a chance to escape the hustle and bustle of daily life while being ideally located to explore the resort’s 1161 acres of ski terrain. 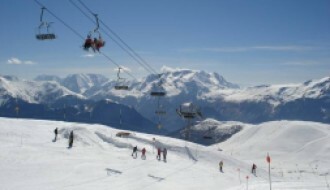 The village also provides easy access to Meribel and Les Menuires via a gondola and chairlift connection. Not just a winter resort, St Martin de Belleville is home to a year-round community and also offers a range of summer activities including mountain biking, fishing, walking, and canoeing. Before its evolution into a ski resort in 1983, St Martin de Belleville was a quiet agricultural village, and it still retains a true feeling of community today. Winter season runs from December to April each year and, during this time, you will find the village at its busiest as skiers and snowboarders enjoy the slopes that are reached from the resort’s 45 lifts. In the summer season, the village takes on a slower, more relaxed pace as visitors enjoy activities such as hiking, mountain biking, and canoeing. There are also a number of summer festivities held within St Martin de Belleville such as bread baking in the village oven and trout fishing competitions. The compact village centre is easily navigated on foot and features everything that you may need within easy reach, including a selection of bars and restaurants to suit most tastes and budgets. For your day to day needs, the village is home to a high-quality butchers and deli, a patisserie, a number of shops selling local produce, and two mini markets. The small village centre also has a number of convenient local shops including a post office, pharmacy, newsagent, launderette, and hairdressers. The nearest doctor’s surgery is just a five-minute drive away in Les Menuires. Development in the area has been undertaken in a way that is highly sympathetic to the traditional style of the village. Those interested in buying a property in St Martin de Belleville will find a wide selection including converted barns with high vaulted ceilings, and traditionally designed modern chalets that blend seamlessly with the area's older properties. 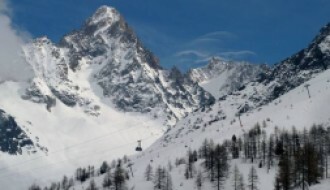 Although most famous for winter sports, St Martin de Belleville has so much more to offer. Despite its compact size, you will find plenty of things to see and do in the village. The local museum traces a history of life in St Martin de Belleville, from small agricultural hamlet to thriving ski resort, and the beautiful old church offers a range of concerts and events. The village hall hosts yoga classes and a wide selection of workshops, classes, and events all year round. Lovers of fine cuisine will be delighted to hear that St Martin de Belleville is home to a number of excellent restaurants including a 3 Michelin Star restaurant, which is widely recognised as one of the very best places to eat in the Alps. Why choose St Martin de Belleville? St Martin de Belleville is a thriving ski resort with a real community at its heart; this makes the area ideal for both those looking for investment property and people looking for a home, or second home, in the area. The resort continually invests in, and improves upon, its facilities with recent developments including a nine-hole golf course in 2017 and an aqua centre with swimming pools, steam rooms, saunas and a jacuzzi in 2018. Ongoing development of the area is undertaken with a strict focus on preserving the authentic, traditional village appearance, making the area popular with people looking for a property with real character in an unspoiled location. 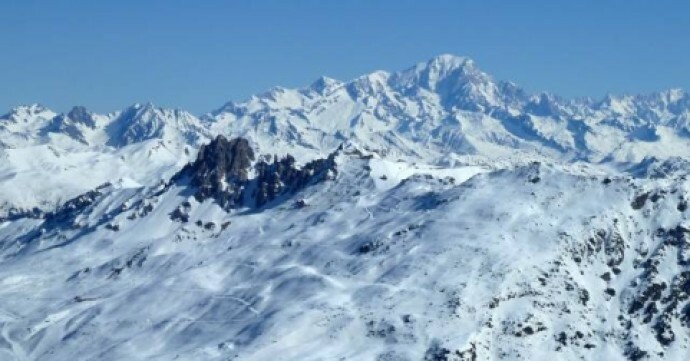 One of the reasons that St Martin de Belleville is such a popular ski destination is the reliability of its winter snowfall, with snow depth of up to 323cm recorded in the 2017/2018 season it’s easy to see why skiers and snowboarders flock to the area. The warm summer season lasts from June to September with average temperatures of between 45 and 65 degrees Fahrenheit. 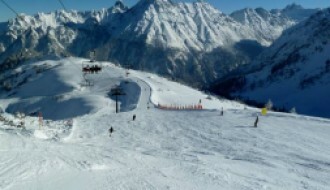 For up to date weather and snow reports, take a look at our St Martin de Belleville resort guide here. The closest airport to St Martin de Belleville is Chambery, with a transfer time of around 1 hour 10 minutes. Geneva and Lyon airports are also both around two hours away. Travellers arriving at the resort by car will appreciate the fact that parking is free throughout the village, and a regular free bus service links St Martin de Belleville with other villages in the valley. There are also several local taxi options for exploring the local area.